The correct contact person or service for your query. 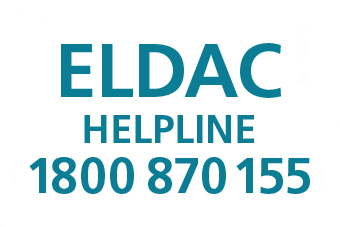 Calls are free from any fixed line phone in Australia and you can also email eldac.helpline@flinders.edu.au with your query. 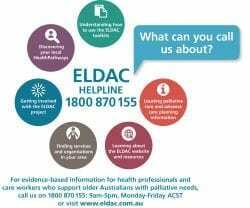 The ELDAC team look forward to speaking with you soon. To find out more or obtain information on assessment, management and local referral options, access Sydney North HealthPathways – Palliative Care pathways, or contact healthpathways@snhn.org.au for access details.